Is it standing on a table high, 13-storey building high or flying on top of the mountains high! Bir is a village near Joginder Nagar Valley in Himachal Pradesh. 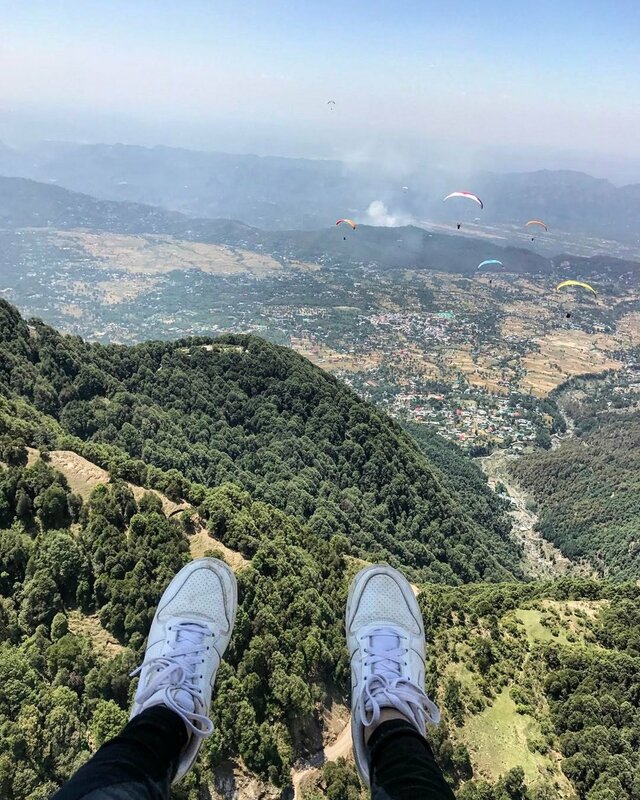 Mostly referred as "Paragliding Capital of India", Bir is also a noted center for ecotourism, spiritual studies and meditation. With its close proximity with Dharamshala, It is home to Tibet refugee settlement. While Billing is the takeoff site for paragliding and Bir for landing; collectively it is known "Bir Billing". The panoramic view of the Dhauladhars at the background with multicolored paragliders flying across will bring your heart to action. Bir-Billing is indeed counted as one of the best spots for paragliding in the World. The Paragliding World Cup 2015 has made the place a popular site for travellers both in-country and all around the world. Bir is located in sub-division of Bajinath in the District of Kangra, Himachal Pradesh. It is a 3hrs car drive from Dharamshala, and less than an hour from Palampur (the nearest main towns). The shortest route from Delhi will be 550kms: Delhi – Ambala – Chandigarh Bypass- Kiratpur- Anandpur Sahib- Nagal- Una- Amb- Kangra- Palampur- Baijnath- Bir road. You can also book a Volvo bus to Palampur or Baijnath and use the local bus or share cab ahead. · Garden Café: is run by an old Tibetan lady. The service can be slow but it’s because mostly everything is freshly prepared. I don’t really give food opinions but the Pizza is a high recommendation. · 4 tables: Check before you visit this place as it’s not always open. It is located close to the main Bir town. 4 tables is famous for it’s list of interesting events, art gallery and fresh wood oven pizza. · Glider’s Pizzeria: I personally like this place for the Vibes. In the evening it is taken over by Travellers and Gliders after completing the last evening flight. · Silver Lining: is a small coffee shop that serves Hot Coffee and Pancakes. And it is exactly what one needs at a beautiful site like this. There are a lot more new cafes in Bir now that you can explore. On your hunt you can also try some Tibetan cuisine. 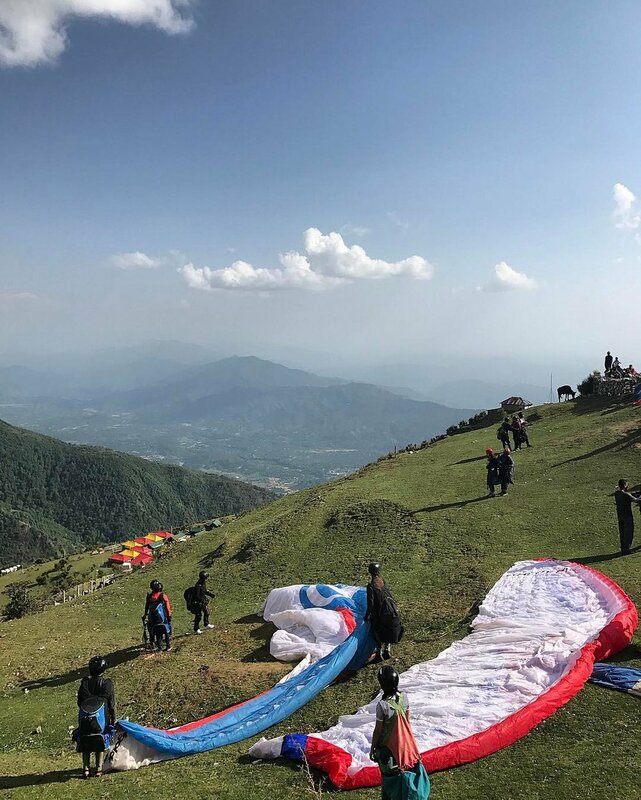 · Paragliding: You can book your Paragliding pilot from Bir, he will pick you from your hotel and drive you to the takeoff site Billing. It is a beautiful 30-40mins drive with view of looking down at whole of Kangra Valley. Evening is the best time to fly as you can see the sunset while gliding. · Rajgunda Trek: Bir to Rajgunda is a 12kms trek. But the best way to do it is by taking a car ride that takes a tour to Barot. Barot Valley is a beautiful small town situated in the banks of Uhl River. If you wish you can spend a day here, exploring the India’s first hydroelectric dam. Or you can move further to Rajdunga, which is almost 2hrs ahead. You can start your trek the next morning and walk down to Billing- take off site. The route from Rajgunda to Billing is one of the best treks for beginners. You can choose to fly down from Billing to Bir. · Barot Valley: Barot Valley is almost off-the-map where you can sit back, relax and enjoy timelessness. There are few campsite options and a PWD Guesthouse available for comfortable stay. This small valley has old himalayan culture and feel to it. You can enjoy your time sightseeing or relaxing on the banks of Uhl River. There is a small market that sells hand knit woolens by the local ladies. Local food at one of the restaurants is another thing to be tried. · WorkationX: If you wish to stay in the town longer but there is office work to be taken care of. Or in case you are a freelancer and have to complete your project. WorkationX is an excellent solution. WorkationX is a Co-working and Co-living community space, located in Rajgunda. It provides workspace, stay, and an experience to explore the Himalayas while working. · Workshops at Deer Park Institute: Okay this is my favorite place to be in Bir. Deer park Institute is the center for the study of Classical Indian Wisdom Traditions. The campus has a Monastery, Restaurant, Library, Book and Souvenir shop. There is also accommodation available for students and volunteers. Regular workshops and events on Art and Culture, Wisdom, Meditation and Philosophy are held in campus. · Dharma Tour: In Buddhism Dharma means cosmic law and order, which is applied in the teachings of Buddha. To learn more about the beliefs of Buddhism you can take a Monastery tour around Bir. Few of the biggest Monasteries near Bir with Buddhism Institutes are Palpung Sherbling Monastery and Dzongsar Khyentse Monastery. · Acupunture by Dr. Norbu: Suffering from neck and spinal pains because of long sitting hours at work? This is the breakthrough. I am so glad to have found Dr. Norbu, he is undoubtedly a genius with his acupressure skills. I have been suffering from an intense nerve pinch from a very long time. It was getting very difficult for me to constantly travel in the condition. When I discussed my problem with Dr. Norbu, he explained me the cause and treated it with a Cup Therapy. The pain was 60% down from the first session. 1. Connect: is a camping hostel in short distance from Bir. You have to take a 15mins car ride and walk upto 1km to reach the site. It may sound a little inconvenient, but once you reach here the view is worth the effort. From here, you can enjoy one of the best sunset views in the valley. The outside dining area is a highlight. The dorm bed is for Rs 650 per person in 5 bed dorm. 3. Camping at Camp Oak View: is a campsite in Billing for people who want to have an out in the nature experience. Like said by Ruskin bond “It is always the same with mountains. Once you have lived with them for any length of time, you belong to them. There is no escape.” I encourage you to start now and see how and where the journey takes you. Travelling serves differently to all people, and in all ways it is good for us.